The Special Forces class has open to people with special needs ages 8 years and up since it began in 2007. 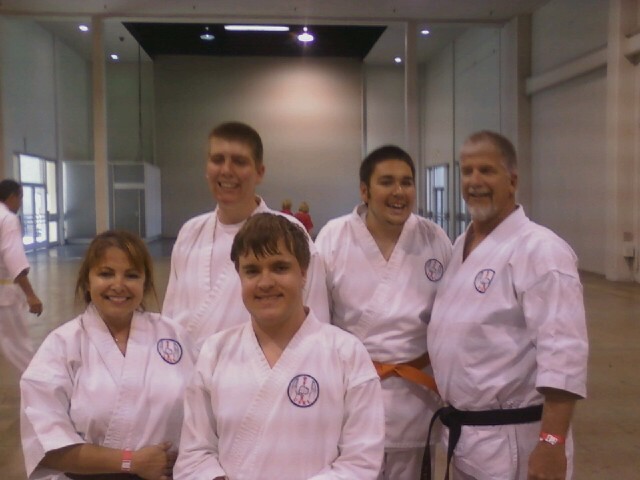 Karate students must be ambulatory (capable of walking) and able to participate independently by following simple instructions in a small group setting. Students will learn a slightly modified (modified to fit each students needs or limitations) version of traditional Shotokan karate through repetition of movement and techniques. This method will promote balance, coordination, strength training, conditioning and self esteem within a safe and supportive environment. Training in karate can serve as an important corollary to other physical, behavioral and psychological treatment programs. 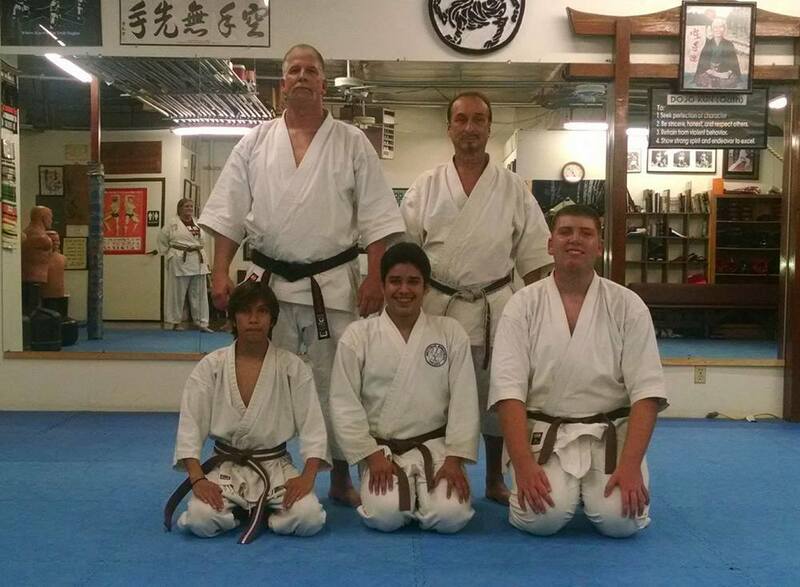 Karate is taught by Irene Nunez and David Voiles, who emphasize a love-based teaching method (firm yet fun), and every student has the chance to feel like a success. 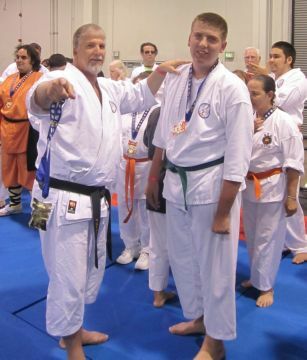 Many people with special needs have already benefited from karate classes at the USKL including those who are receiving services from various Regional Centers, as well as people who have been referred to us by physicians and psychologists in private practice. No aides or "shadows" will be permitted in the training area. There are assistant instructors present who are able to spend more time with students that may need extra help. Join the fun! Please call or come in and meet with our instructors to discuss your child's training possibilities with USKL. It’s no secret that a traditional martial arts program is one of the best extracurricular activities a child can participate in. For children with special needs the benefits are invaluable because of the inherit structure and discipline the arts bring to a child’s daily life. All children need structure, some more than others. Some might need to be reminded more often or a different approach might be necessary, but in the end it's all the same. Why is it better than another sport or activity? Let me start off by saying the words "art" and "sport" are quite different. An art is "any activity regarded as a medium of imaginative or creative self-expression." A sport is "an activity involving physical exertion and skill in which an individual or team competes against another or others." The unique component of martial arts for children with special needs is the competition within themselves, not with others. Children with special needs must work on life skills, not competing with others for a trophy. That’s not to say they shouldn’t compete and receive those same rewards, because they should! However, the criteria must be carefully considered and achievable. I am not a proponent of "everyone wins" because failure is part of life. Life skills are why you should consider martial arts, and if that’s all you receive you are a winner! Let’s talk about some benefits right now. Consistency and repetition create familiarity and, therefore, children on the autism spectrum do well with classes. Repetition of the same location, same faces, same curriculum, and knowing what to expect are all part of the recipe. With continuous structure, discipline and fun exercises, even the child with multisensory issues almost immediately rises to the occasion. Most children with special needs receive therapies on a weekly basis. Adding a traditional martial arts program to their existing therapies can only assist them in reaching their goals faster. Think about it; when an instructor focuses on YOUR child’s needs there is no doubt the results are immediate. Focus, concentration, balance, tone, awareness, self-regulation, core strength, reduced anxiety, and spatial awareness are just a few of the benefits your child will receive when you find the right studio. 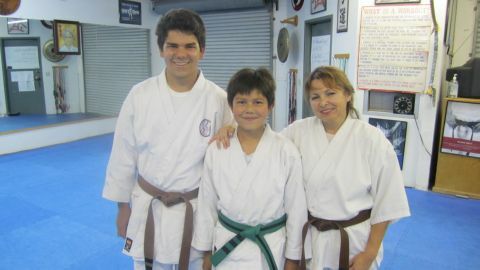 It is my belief that all styles of martial arts are good; the question is which style is the right one for your family. If the instructor is compassionate, patient, understanding, experienced and willing to dedicate his or her life to your child then that’s the place to be. Regardless of the child’s needs, learned behavior can only be achieved through behavioral momentum.